If you are looking for a piece of exercise equipment that is both portable and can help you improve your cardiovascular health, endurance, strength, toning and overall fitness, it is the kettlebell. Many people use kettlebells the same way that they use dumbbells or free weights, but that is not their intended purpose, although there are exercises that you can substitute kettlebells for in place of dumbbells or free weights. The following are some basic moves and exercises that beginners can use to develop proper fundamentals and form. Kettlebells are different from dumbbells and free weights in that the weight is centered on kettlebells while dumbbells and free weights have the weights on each end of the item. Begin in an upright standing position with your legs slightly more than hip-width apart and your toes slightly pointed outward. 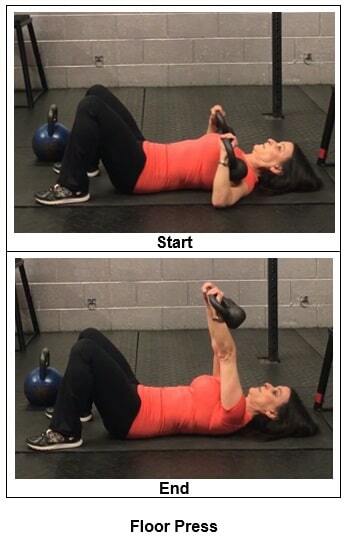 Hold the kettlebell at one end in both hands like a goblet at chest-height. 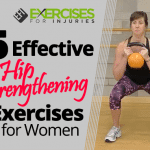 Bend your knees and hinge through your hips to move into a deep squat. Raise back up and repeat the movement. 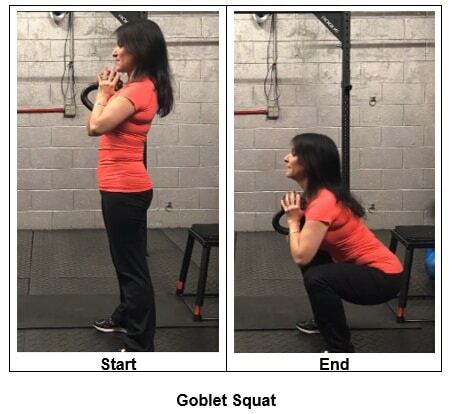 The basic movement is similar to a bodyweight squat, except for the fact that you are using a kettlebell in addition to your body. Start with one set of 5 reps. Perform this exercise in a smooth, controlled movement with a brief stop at the top position. The intensity is light. This exercise is designed to target your glutes, quads and core, helping to improve your balance. Hold a kettlebell in one hand. Begin in an upright standing position with your feet shoulder-width apart. Take a big step back with one leg and slightly bend your front knee for support and balance. Bend your upper body forward, maintaining proper alignment with your head, shoulders and hips as you rest your elbow on top of your knee. Contract your core and pull your arm back in a rowing motion, keeping your elbow 30 to 45 degrees away from your body. Lower your arm back down to return to the starting position. Repeat the movement on the opposite side. Start with one set of 6 reps. Perform this exercise in a smooth, controlled movement with a good stop at the top position. The intensity is light. This is a whole-body workout, especially the upper back. Lie on your back on the floor with your knees bent and feet flat on the floor, relaxing your upper body. Hold a kettlebell in each hand. Bend your elbows to align the kettlebells with your chest, then extend your arms to press the dumbbells up toward the ceiling. 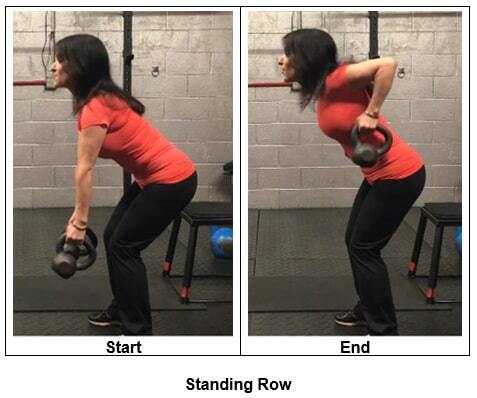 Lower the kettlebells back down to return to the starting position. Repeat the movement. Start with one set of 4 reps. Perform this exercise in a smooth, controlled movement with a good stop at the bottom. The intensity is light. Begin in an upright standing position, with your legs slightly wider than hip-width apart and maintaining proper alignment in your upper body. Hold a kettlebell in each hand, then bend your knees and hinge through your hips. 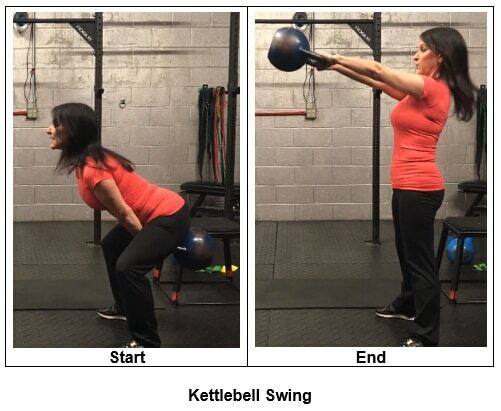 Pull your arms back in a rowing motion, bringing the kettlebells up toward your hips. Lower your arms back down to return to the starting position. Repeat the movement. Start with one set of 10 reps. Perform this exercise in a smooth, controlled movement with a good stop at the top position. The intensity is light. 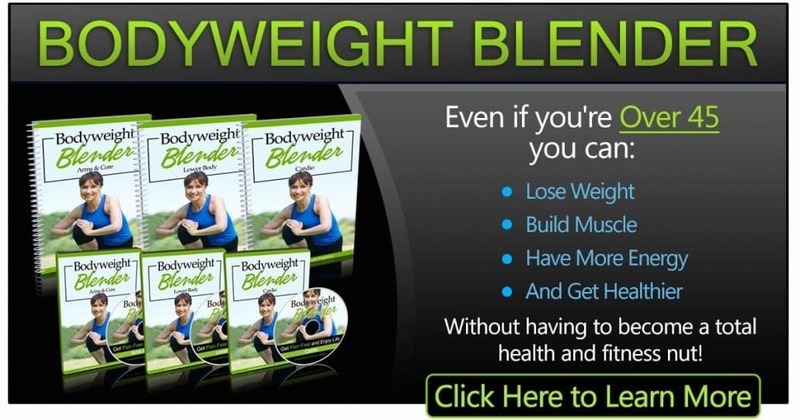 Begin in an upright standing position with your legs wider than hip-width apart. Hold the kettlebell in both hands. Slightly bend your knees, then swing the kettlebell back between your legs, and then bring it up to shoulder-height. Control the movement and squeeze your glutes at the end position. Repeat the movement. Start with one set of 8 to 10 reps. Perform this exercise in a smooth, controlled movement that is similar to a pendulum. The intensity is light. These are five basic kettlebell exercises that you can do at home or in your gym that will help your entire body.